Hello Sonic, Sega, and gaming fans! Hyped for the new Sonic Mania game? 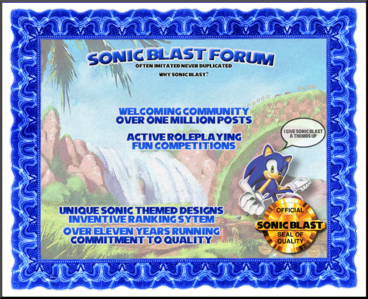 For over 11 years our aspiration has been to offer the most authentic Sonic-themed community on the web for Sonic enthusiasts new and old. We do our best to provide unique features, unique Sonic-themed designs, and offer compelling topics of discussion with people you can call family. Please check us out if you are interested!